Power up your big International V8 engine with these custom built Nippondenso mini gear reduction starters. 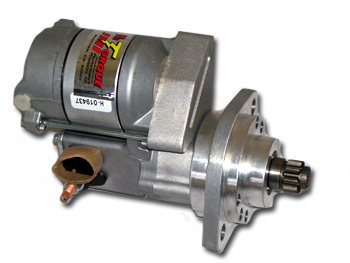 If your vehicle won't start when hot, or cranks slowly, then you must have this starter. You won't find a better starter, and at this price you don't want to pass it up. Designed with a gear reduction of 4.4:1, it can handle cranking those big International engines (266, 304, 345, 391, 392). Choose from the standard 1.2kw starter or the very powerful 2.0kw version if you have high compression.